DETAILS – Enjoy hours of fun entertainment for the whole family with a range of activities: Splash Town (6 years+), a giant inflatable obstacle course, the interactive Python raft waterslide, raft making and racing, reptile enclosure, pet rock making, leaf rubbing, Natured Kids arts ‘n’ crafts, water based science, AquaPlay aquatic playground as well as 2 giant water slides. COST – Various. No bookings needed for Meet the Animals or Easter Egg Hunt but all other activities do require bookings. 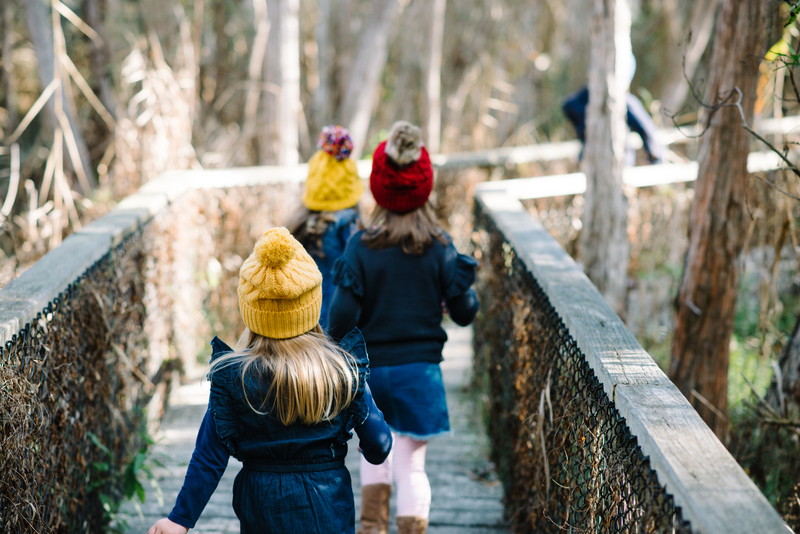 DETAILS – Green Olive at Red Hill will be hosting a range of fun activities for the kids these school holidays such as pizza making, meet the animals, cupcake decorating, mini farmers, chicken workshop and on Good Friday there will be a free Easter Egg Hunt. DETAILS – Returning for their second year Botanika Cinema; an open air cinema is back as the much loved Peninsula destination for families throughout the April School Holidays with six nights showcasing family friendly classics at George Pentland Botanic Gardens. In addition to the movies, guests can come down early to experience live and local entertainment, street food and beverage offering from the bar. Botanika Cinema is truly an event the whole family will adore! DETAILS – Marvel in amazement with a fun and hands on kids Science Workshop these school holidays! Be sure to book fast as tickets are limited!+ Kids meals on the day are just $5! DETAILS – Suitable for kids 2 to 12 years, get down and boogie with your buddies at the Frankston RSL’s school holiday dance party! All your favourite hits will be played by the DJ! + Kids meals on the day are just $5! COST – $21 per Child, $19 Adults and $64 for a family (2 adults + 2 Children) – includes Easter activities & normal Big Goose activities. DETAILS – The Easter Bunny is coming back to The Big Goose this Easter! The aim of the game is to collect as many plastic Easter eggs as you can until The Easter Bunny rings his bell! Lots of fun and games all Easter long weekend including Easter Egg Scramble, Unicorn Rides, Find the Golden Egg to win an Awesome Prize – 5 to be found each day PLUS Giant Foot Darts, Chuck a Chook and so much more! DETAILS – Wittingslow Carnivals returns this Easter long weekend with it’s Easter Festival on Rye Foreshore. Opening Good Friday until Monday, 12pm daily. Rye Easter Carnival Festival is a fun festival held over the Easter Holiday period for toddlers to teens, the local community and visitors to the peninsula. The festival will offer a program full of circus workshops, stage performances, roving acts and magic shows. Also with carnival rides it provides lots of entertainment for children and families. Easter bunny will visit with an egg hunt on Easter Sunday. COST – $30pp – Bookings are limited – Ticket is only available to use for the Moonlight festival on the date you select from 6pm-10pm (cannot be exchanged), ticket includes access to the park, all light installations, workshops, maze, sand sculpting exhibition, outdoor cinema, all rides available on the night. Does NOT include food, drinks or mini golf. Mini Golf can be added for an additional $10 per person. DETAILS – Boneo Maze on the Mornington Peninsula will come alive in the evenings this Easter Long Weekend, illuminated with stunning light installations and lantern sculptures. This interactive family friendly event will transform the maze and wetlands into a night time wonderland with activities, workshops and some spectacular lights and entertainment the whole family can enjoy. This year is themed Peter Pan! DETAILS – Now in its third year the peninsula busking festival was a huge success with over 15000+ visitors. If you’re a music fan, or simply love to be entertained, then we have a selection of more than 50 performers as part of the Peninsula Busking Festival including 20+ Food Trucks, Pony Rides, Kids Games Kids Rides and more!! Over 50 performers including award winning musicians + circus acts + child prodigies + street theatre + magic + record breaking stunts + contortion + crack up comedy + dance + puppeteering + loads more. 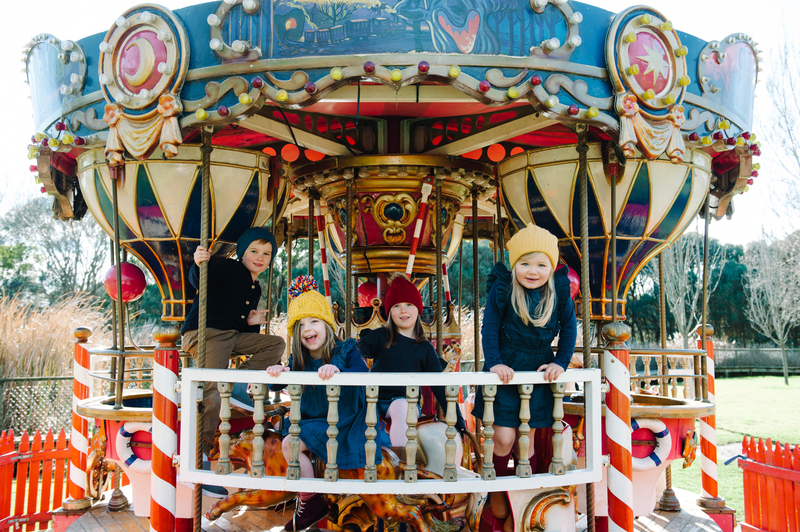 DETAILS – With a picturesque gondola ride, a special scavenger hunt with some great prizes up for grabs and LOTS of chocolate it is the perfect place to kick off your school holidays on the Mornington Peninsula. On Easter Sunday there will be Big Bunnies at the Base from 12pm – 2pm + from 11am – 4pm there will face painting. DETAILS – The annual Melbourne Racing Club’s Easter Egg Hunt presented by Cadbury at Mornington Racecourse makes this a family event not to be missed! In addition to rides, entertainment and activities, thousands of Cadbury Easter Eggs will be hidden across the course for separate hunts for children registered within age appropriate groups. All proceeds raised from the Easter Egg Hunt will go back to Camp Quality via the MRC Foundation.